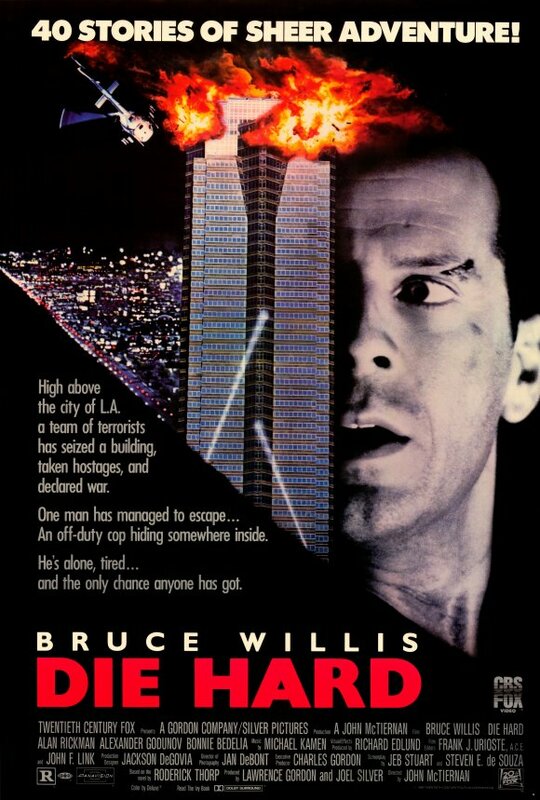 Die Hard – Did You See That One? 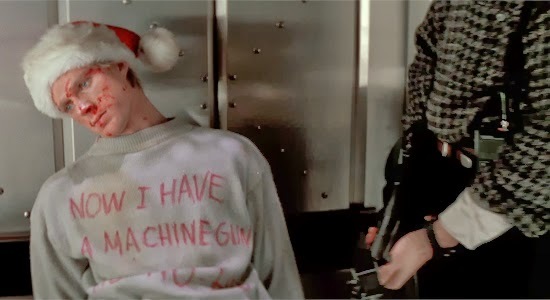 New York cop John McClane (Willis) is in Los Angeles to celebrate Christmas. When his estranged (Bedelia) wife and co-workers are taken hostage in a highrise building, John is forced to take action. Now he’s working to free these people from a band of killers led by the ruthless Hans Gruber (Rickman). This might be one of the best action films ever made. It made #1 on IGN’s list of the top 25 action films. Hans Gruber and John McClane are also both listed among the top 100 on AFI’s lists of heroes (McClane) and villains (Gruber). This film originally came from “Nothing Lasts Forever” by Roderick Thorp (The Detective). The screenplay was written by Jeb Stuart (The Fugitive) and Steven E. de Souza (The Running Man). John McTiernan (Basic) took on the project as director. Bruce Willis (12 Monkeys) leads off the cast with a role that would define his career and lead to four sequels. Alan Rickman (Sense and Sensibility (1995)), Bonnie Bedelia (Presumed Innocent), Reginald VelJohnson (Turner & Hooch), and Paul Gleason (The Breakfast Club) round out the great cast. This is such a fun film, with all the hallmarks of great action writing, and a bit of Christmas spirit as well. The characters of John McClane and Hans Gruber are wonderful opposites that play perfectly against one another. This isn’t just a good guy versus a bad guy. This is a film where the protagonist antagonizes the antagonist in a wonderful series of verbal and physical exchanges. (Try reading that out loud.) The dialogue for this movie is excellently written to push the tension between these two characters forward. In addition, the film creates enough interesting characters around these two to give the story depth and increase the stakes. Overall, this is one of the best action films ever written. The writing for this story also built “Die Hard” into the language of film. Today, we repeatedly describe films as “Die Hard on an island” (The Rock), “Die Hard on a bus” (Speed), or even “Die Hard on a battleship” (Under Siege). 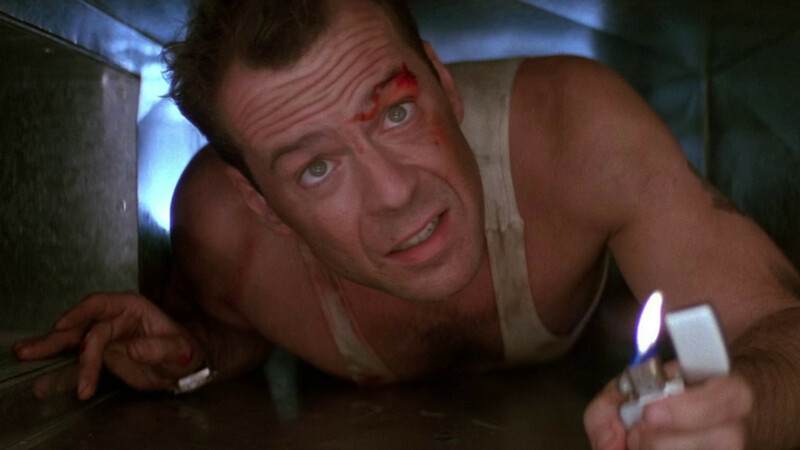 Bruce Willis was not the first person offered the role of John McClane, he wasn’t even the fourth. Initially, it was turned down by Arnold Schwarzenegger, Sylvester Stallone, Harrison Ford, and Don Johnson. For Willis this role would launch his film career into new heights. He wasn’t the only one to make a big leap because of this film. This was Alan Rickman’s first feature film role, and it also pushed him into new levels of success. Together, these men make this movie. Their performances bring out all of the best and worst traits of their characters. They also make the film much more fun thanks to their ability to find the humor in the script. The rest of the cast does a good job with their roles as well. Bonnie Bedelia, Reginald VelJohnson, and Paul Gleason are just three of the many actors who brought this one to life. Bedelia doesn’t have a very deep role, but she makes the most of it. She also has an interesting chemistry with Willis. She would reprise her role in the 1990 sequel, Die Hard 2. Another fun part in this film is played by VelJohnson. I think most people recognize him from his role as Carl Winslow on Family Matters, but he’s got a lot to offer in this one. Additionally, Paul Gleason does a nice job as a minor antagonist in the film. Overall, the cast does a great job making this one fun, action-packed, and exciting. The movie features some great action scenes and impressive stunt work. Combined with the writing and acting, this film seems to give viewers everything needed to a fun film experience. The film earned four Academy Award nominations, all stemming from the excellent production work. These nominations include Best Editing and Best Visual Effects. The sound work for this one is also nicely done. This earned the movie Oscar nominations for Best Sound Effects and Best Sound. With the addition of a great score by Michael Kamen (Open Range), this is a well-rounded and wonderful movie. This is a great action film, and perhaps the most exciting Christmas movie ever made. Despite being close to 30 years old, age doesn’t hurt this one. Even the technology of the age seems to stay out of the way of the story. If you’re a fan of any of the stars, I hope you check this one out. This is obviously a good choice for action fans as well. I give this one 5 out of 5 stars. Did he do that? Yes, yes he did. Pingback: 48 Hours | Did You See That One? Pingback: Another 48 Hours | Did You See That One? Pingback: The Running Man | Did You See That One? Pingback: Michael Collins | Did You See That One? Pingback: Death Wish (2018) – Did You See That One?